North Carolina has over 18 million acres of forestland. These vast forests support diverse flora and fauna. The Natural Resources Division has Technical programs training students for tomorrow's environmental workforce. Located in mountainous Western N.C., Haywood County is home to outdoor recreation of all kinds and a small town lifestyle. APPLY NOW !!! 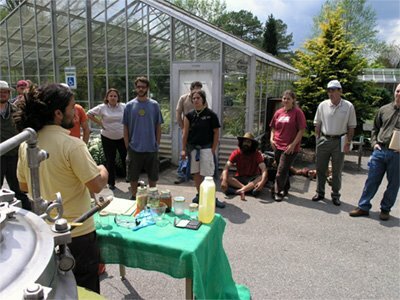 The Division of Natural Resources at Haywood Community College was fortunate enough to host a workshop sponsored by Piedmont Biofuels and BioNetwork-BioAgriculture Center. Rachel Burton (pictured at podium) gave an excellent introduction to Biodiesel and how the coop she works with has expanded over the years. 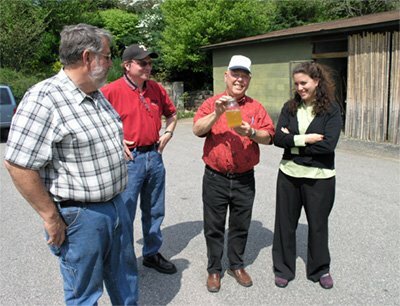 David Thornton who also works at Piedmont Biofuels then gave a live demonstration where attendees participated in making a small batch of biodiesel fuel from canola oil. Using just a few simple ingredients David and the group were able to turn a quart of canola oil into biodiesel and glycerin. 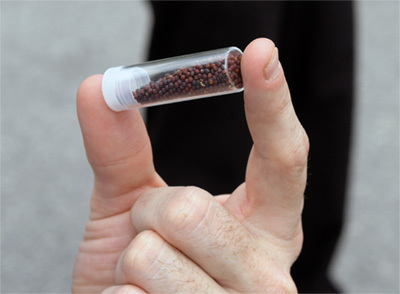 Neat to think that these Brassica seeds when planted out could provide the fuel necessary to power any diesel engine. Workshop participants assist in by agitating the mixture manually. 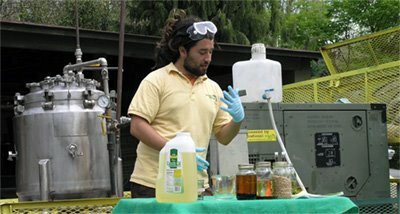 A horticulture student mixes the ingredients necessary to make biodiesel. 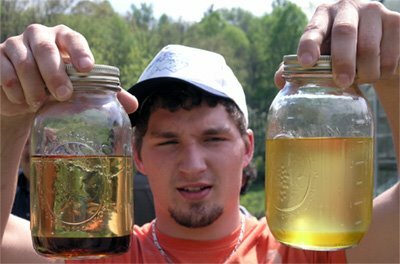 Two batches of biodiesel fuel. Left: after 24 hours the biodiesel is on the top and glycerin (which can be used for numerous things including soap and animal feed) is the dark layer on the bottom. Right: Our batch is beginning to separate after about only 30 minutes. This was a great hands-on demonstration. Generous sponsors of the event (Left to Right): Leslie Jones (BioNetwork BioAgriculture Center), JD Brooks (BioNetwork BioAgriculture Center), Rachel Burton (Piedmont Biofuels), and David Thornton (Piedmont Biofuels). Easter Lily Sale !!! Bargains !!! Haywood Community College is the first two year college to receive a student chapter of The Wildlife Society. Haywood forestry students have an active forestry club, as well as a student chapter of the Society of American Foresters. 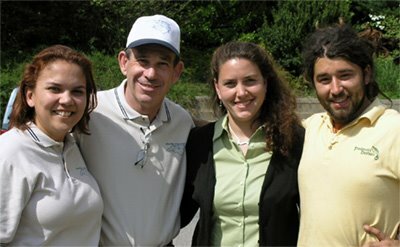 A number of students in our natural resources programs also compete at national levels making impressive showings as they out-compete many students from four-year institutions. 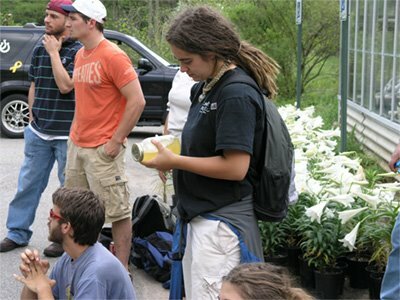 The Horticulture Club also produces a variety of plants for the local community and students have helped make the community a better place by many hours of volunteering gardening efforts.